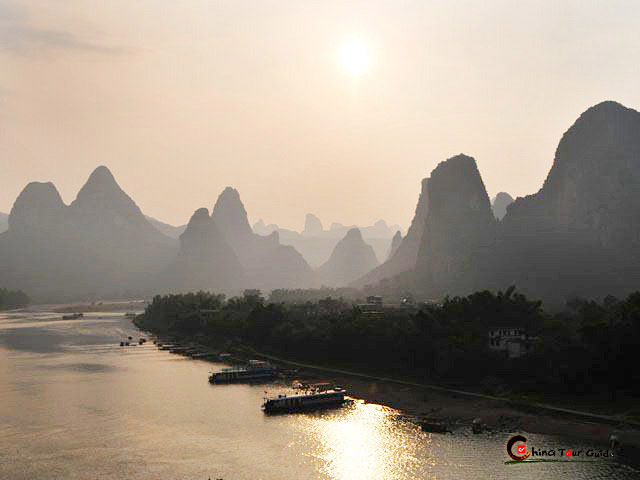 Seven Star Cave is ranked as one of the six attractions (the other five are Fubo Hill, Elephant Trunk Hill, Diecai Hill; Reed Flute Cave; Li River) of Grant Guilin Scenic Area. 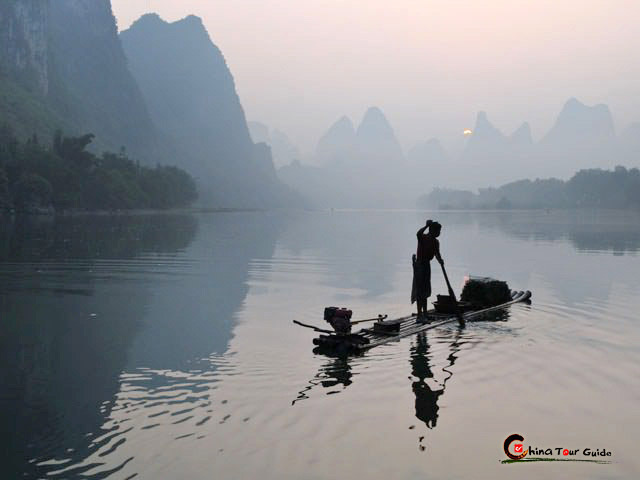 Therefore the Seven Star Cave is a must-visit spot without which you can't fully appreciate the unique landscape of Guilin, made up of pictographic hills, color-extravagent caves and rippling streams." 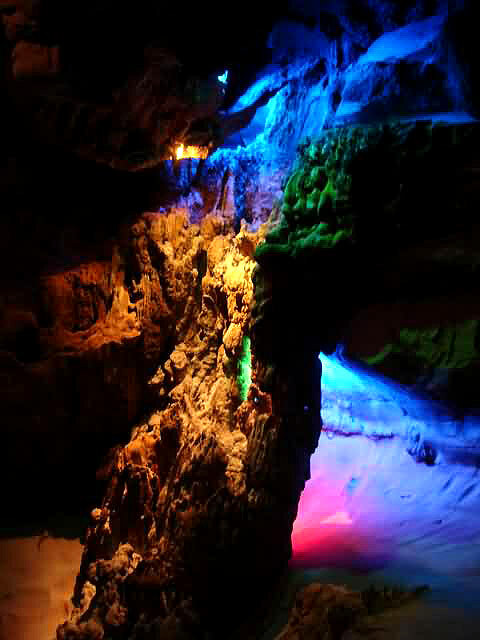 Seven Star Cave is also known as Qixia Cave (in Chinese meaning the place where colorful clouds settle). It indeed displays a riot of color under the magical force of karstification. The stalactites in the cave remind you of assorted silhouettes of plants, animals and human being (e.g., nine dragons playing around in a river, old man watching opera, bridge of magpies). 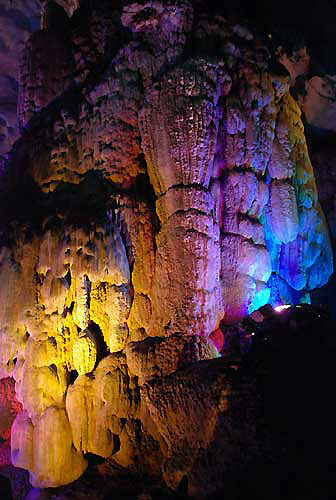 The lights shining in the cave reflect off of the water flowing in the rock crevices, representing a crystal palace. 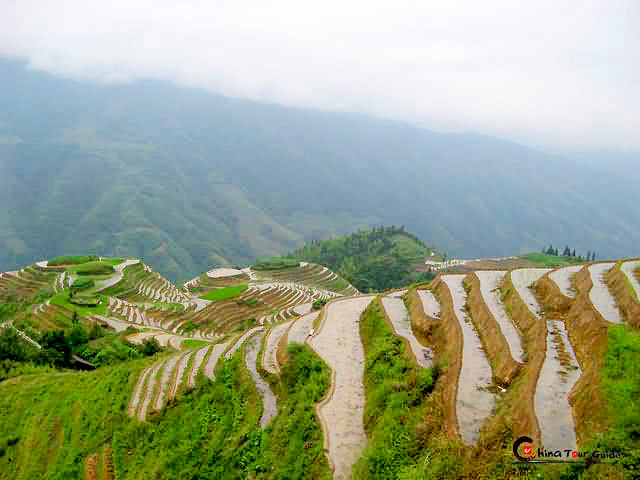 The best-known sights of Seven Star Cave include Six Caves Heaven, Two Caves Mansion, and Cave in Cave. 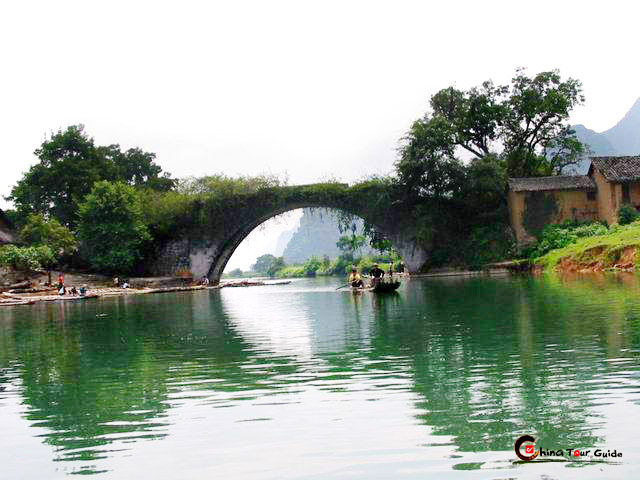 Seven-star cave has a history of exploration dating back to the Tang Dynasty (1,300 years ago). Countless men of literature have left their inscriptions on the wall inside the cave.